When life gets hard, sometimes we tend to blame ourselves too much and end up focusing on everything that has gone wrong. Well, this podcast is all about overcoming your fears and helping you carve your success online in your own unique way! Your struggles do not define you, and CANNOT stop you as long as you don’t give up. YOU have skills that are vital to your own success, as well as OTHER people’s success. And the only one stopping you from becoming successful is you, doubting your own probability of success! People here aren’t as technologically savvy as everyone else. Years ago people didn’t know much about the internet, let alone that you can use it to earn yourself a decent living. WE didn’t know much about it when we started either! Everyone’s starting point will be a little different, but anyone who wants a shot at success will have to invest the time and effort it takes to actually make it online. Your effort to move forward will always be met with some sort of resistance (because… PHYSICS!). But despite our success now, we DID struggle to succeed in the beginning just like everybody else. But the biggest factor that led us to success was that we stayed the course and learned from what wasn’t working. We shifted our efforts to creating and improving products and services that would change the lives of so many budding talents in our online membership community. Struggling pushes us to evolve. It is up to us to find the lesson from our struggles, and use that lesson to become even better versions of ourselves in order to bless those around us. Because we’re all here to help those whose lives we touch! Now, our guest this week has been working in the Airline Industry for over 3 decades. She has gone through her share of struggles and harnessed those experiences to be the support she wished she had access to while going through difficult times. Her name is Debi Talbert. Originally from Florida, Debi moved to Northern Kentucky in 2002 and later went back to Florida in 2011. She’s been married to her husband, Duncan, for 20 years; she has 4 adult children, 5 delightful grandbabies, and 5 granddogs. She has been working as a Flight Attendant for 35 years but has had her retirement plan disappear when her company filed for bankruptcy. 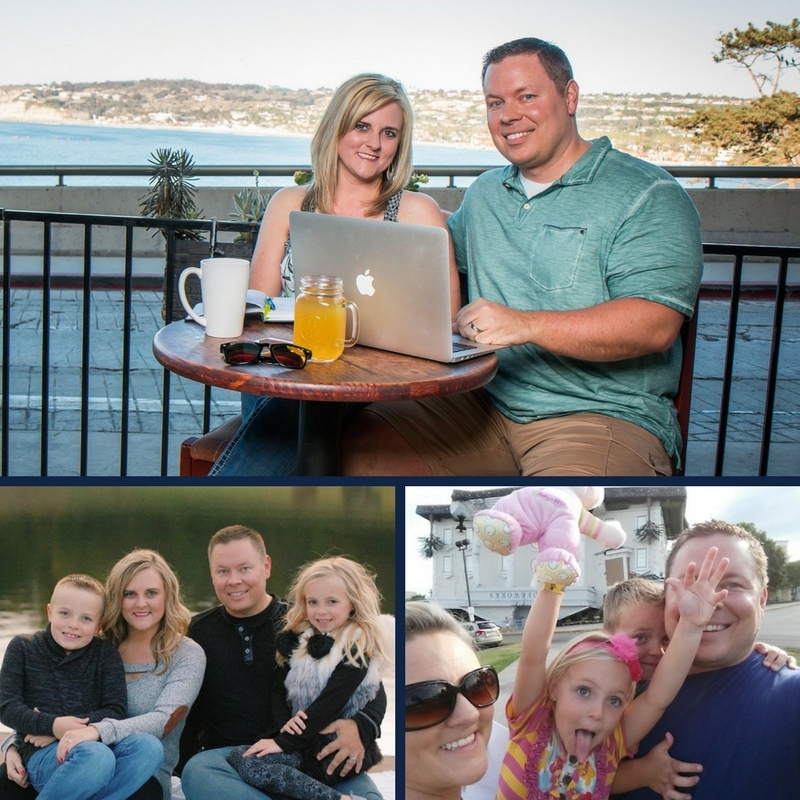 Although disappointed, Debi went on to start her entrepreneurial journey in order to sustain their current lifestyle, spend more time with her growing family, and finally be free from the bonds of corporate employment. She started out doing multi-level marketing, but her schedule proved to be much too random to sustain such a venture. So she looked for the next best thing: ONLINE BUSINESS. It wouldn’t come as a surprise that she had decided to dive into online business and begin carving out her own internet success story, since she has always been fascinated with computers. She joined the Flip Your Life community, participated in forum conversations, found the support and insight she needed in order to take her next steps. But what makes her the expert? You might ask. Remember when we said that everyone has different life struggles that they have to deal with? Well, it just so happened that Debi’s struggle was her attempt to silence her anxiety with excessive drinking. She was an introvert who was uncomfortable with her own voice, sharing her thoughts, guilty of her own private drinking prison. She ignored her pent-up emotions, and although she had a pretty convincing happy-go-lucky mask, this only made her feel worse. The questions kept rolling in her head in the late hours of the night, and she starts promising she’ll do better, only to fall back into the trap that is her wine glass. Debi goes on struggling with this push-pull of emotions for several years, often suffering in silence, until she finally succeeded in finding and applying what worked for her. She has found a way to be sober and stay sober! Now, more than ever, she is passionate to be the support that she needed at the beginning of her sober-curious journey. So, she created www.TheSoberCurious.com, where she hosts her blog and podcast, sharing her insight and helping others change their habits and mindsets one step at a time. But, it’s time to turn her passion into one that generates income. And lucky for her, helping people flip their lives to the next level is our calling! Join us as we help Debi overcome her fear of being heard, understand some key strategies to do a successful launch and make money online. We may even read yours on the air! 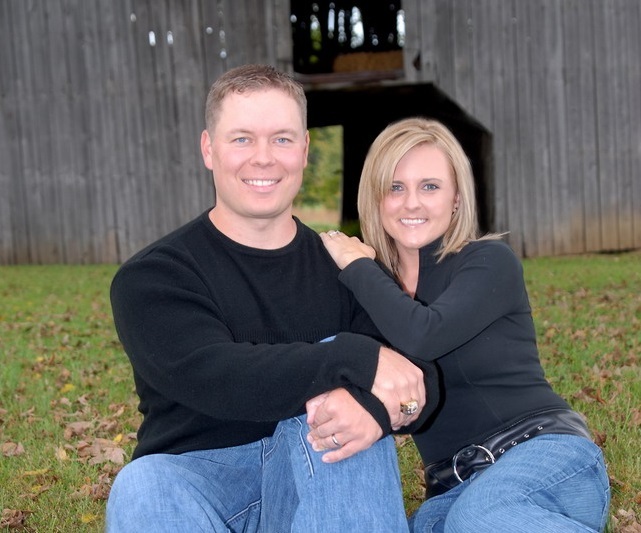 Today’s success story is from Flip Your Life member, Kenneth. Kenneth just did something that we talk about all the time, he validated his idea through pre-selling. If you listen to the show very often, you know that we tell people to do this all the time. He says that not only did he validate the idea through pre-selling, he did it quickly, easily and cheaply. Basically, he saw other members succeeding, he watched what they did, he modeled it, and then he did it himself. Kenneth goes on to say, “I rolled out my product and sold three seats. That’s a $147 times three people for sending out an email, $441 and I’ve not done a single bit of work yet.” He basically pre-sold what he was going to teach, and now he’s going to create it for the people who already gave him money. This week’s Can’t Miss Moment is playing, “Don’t Step On It” one afternoon with our kids. And for those of you who do not have small kids, maybe under the age of 10, everything related to bodily fluids or functions is absolutely hilarious to kids. Especially poo. Alright. So I was in the store the other day and I was looking for a board game with the kids. Sometimes when I’m at Walmart or something, I’ll just go to the game aisle and grab a new game. We’ll bring it home and we’ll go play it. I found this game called, “Don’t Step In It,” which is basically a big mat, and you have to walk across it and the kids make like poo shape things with play-doh. We spent like an hour and a half one night just laughing hysterically. You have to blindfold yourself, and whoever steps in the most poo is who loses. We played this game one night. We just had an absolute blast. It was just such a fun time just playing this crazy game with the kids. This was happening and like probably about 3:30 to 5, one evening before dinner. And I was just so thankful when we were playing this game that we had those afternoons together and that we could not be stressed out and not be tired from work. We could focus on playing an awesome game with our kids, spending time together as a family and just doing something before dinner instead of rolling in from work at 6:00 and just rushing to the table or going into the chair and just not do anything. So I’m always thankful when we’re playing board games with the kids. I absolutely love playing games with our kids. It’s kind of how our family spent some time together. Even just being able to go in and buy a board game at will, we don’t have to wait for presents or anything like that. We can just swing by the store and grab something new and have a blast. Having that financial freedom, having that time freedom makes all of our online business pursuits worth it. Jocelyn: Hey, y’all! On today’s podcast, we help Debi take her self-guiding coaching business to the next level. What’s going on everybody? Welcome back to the Flipped Lifestyle podcast. It is great to be back with you as always, again, this week! We are recording from our back bedroom today on a snow day, so the kids are here and you may get cameo appearances from Isaac and Anna Jo. They’ve already been in here about five times asking us to help them with their nouns and verbs. They have snow packets that they have to do whenever we have snow days. So we’re going to be doing a little homework today AND chatting with a great guest about online business. 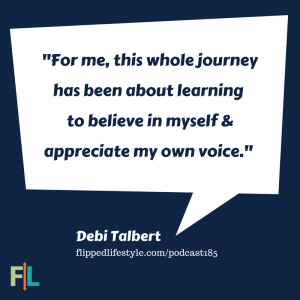 We’re super excited to welcome a Flip Your Life member to the show today, Debi Talbert. Debi, welcome to the show! Debi: Hey guys, thanks so much for having me! Jocelyn: It’s great to talk to you today. 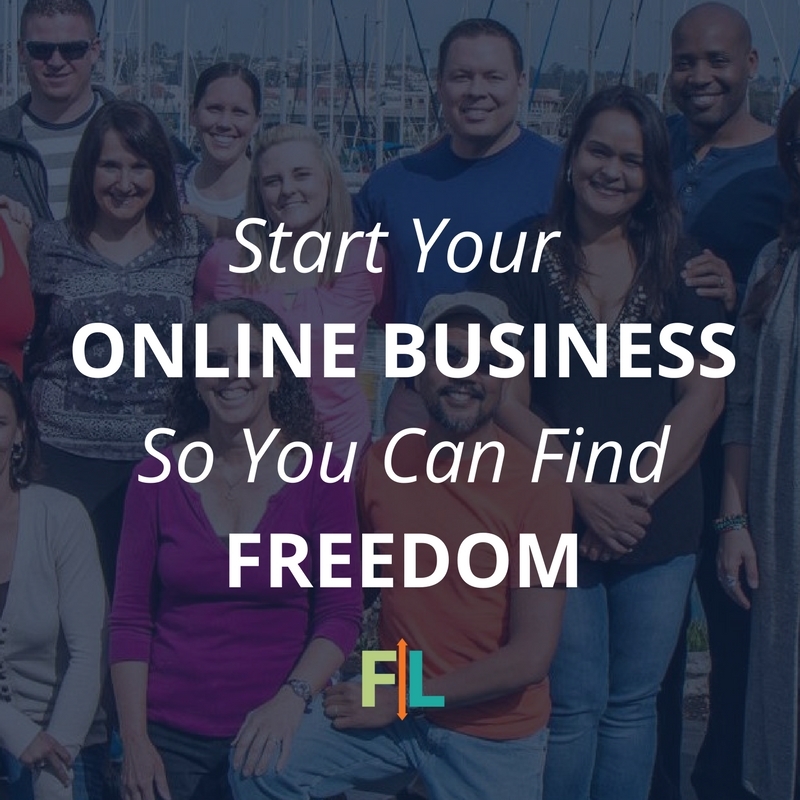 We are excited to dive into your online business. But before we do, tell us a little bit more about you, your family and your background. Debi: I have actually just completed 35 years at the airline industry, and I am currently a flight attendant and I’m also a baby boomer. I’ve been on this journey I guess since September 11th, so for a while, trying to find a way to do something outside of being within the airline industry so that when I was ready to stop flying I could still retire without having to change my current lifestyle. Debi: Well, eventually you do get used to it and you do learn how to actually listen to your body and treat it with respect, and nourish it properly and drink lots of fluids. Over time, you learn what not to do, so that you can have the energy that you need to do your job. Shane: It’s so funny, too, because we talk a lot about fears on this podcast. Right? and overcoming your fear as well… I am not a big fan of flying. I love to fly because I hate driving for 9, 10 hours, so I’ll fly anywhere. But I get really nervous when I’m on a plane. I think it’s a control issue and Jocelyn makes fun of me because what I actually do is whenever I’m nervous on the plane, I always watch the flight attendant. Jocelyn: Which is the entire flight. Shane: Which is usually the entire flight because I’m usually pretty nervous on a plane. Here’s what I figure: the flight attendant is always on the plane. If they’re freaked out, we got problems. If they’re cool, we’re cool. If you ever see me on a plane with you, and I’m staring at you, I’m just trying to figure out if we’re going down or staying up. Okay, that’s all I’m doing. Shane: You said you were a baby boomer, like do you have kids, grandkids? Debi: Yes, I do. Actually, I have four adult kids and five little grandkids now. The youngest one is three months old and the oldest one is six years old. Shane: That is awesome! I love that because it just goes to show that everyone can pursue online business. This really is for everybody. It’s for baby boomers, Gen X, millennials, grandkids, kids, no kids. Wherever you are, there’s always a corner of the Internet that you can carve out for yourself and give yourself a new opportunity to do something great with your life. Debi: I agree, I agree! And even my children, my adult children, they’re fascinated by some of the things that their older mother knows how to do that they don’t. Shane: That’s awesome, that’s great! Debi: It’s kind of funny sometimes. Jocelyn: Alright. There are a lot of different business paths you could have chosen, so why online business? Debi: It’s actually a long story, but I’ll make it really short. For several years, like after September 11th, I started different avenues and my first attempt was through the MLM realm or the network marketing realm. Then that, really, with my unusual and different type schedule, whatever… didn’t really work out for me and I had to find something that would allow me to do it within the schedule that I have because doing something on the same day, every single week over and over again in my schedule just wasn’t going to work out. And then also in one of the jobs I had before I was a flight attendant, I realized that I actually had this unique ability to figure out the computer stuff. I taught myself Word, Excel, PowerPoint and those things because the classes at the company were full and I needed to know how to do those things to do my job. I would stay after work and learn how to do them and I did it pretty quickly. Then for me, it was kind of natural to lead into the online stuff, because then when I was doing the network marketing, I started blogging and so then I learned how to blog. Then I learned how to do YouTube and Google Hangouts. I actually was working with life coaches and teaching them how to do their online programs using Google hangouts, and then I moved now into podcasting and having my own courses. Shane: That is absolutely amazing! I love how we pick up these skills along the way. Jocelyn and I were talking just yesterday, when I was hooking up our podcast gear. We edit some stuff. We edit video, we edit audio, we do all these things. It’s amazing how you look back at your life and you see all the skills that add together into what you want to do now or next. When I was in high school, I was the director-producer of our news show. We’d have a show every week, send out kids to do stories, then we would edit it together and we would have a news broadcast like on Monday morning, and that’s where I first learned how to use audio gear. And then my first job as a football coach, I basically wasn’t really coaching. I was just editing all the film together and my audio for like highlight reels and stuff. But all those skills that you pick up along the way add up, and when you’re ready to make this decision of, “How do I want to make money, how do I want to leave my job, how do I want to do these things?” all those things can add up into your next career. But when you start piecing it together, most everyone has everything they need to go the next level to start the online business. They just can’t see the forest through the trees. And I think it’s amazing that you have seen that for sure. So tell us a little bit about your specific online business. We know why you’re in online business, why you’re going in this direction. What do you want to do want to do, or are you doing online? Debi: Well, actually before I do that, I want to actually give you guys credit for me figuring out all the skills I had, because up until I heard you guys, the one you guys had on your podcast, the four or five episodes you had in a row? Shane: Right, about our story. So, for anybody that’s thinking about it or whatever, I really want to encourage people to listen to you guys and to join the membership, because just by listening to other people trying to do the same thing because of the people you’re hanging out with at work and the rest of the part of your life, they’re not going to know how to encourage you to keep going. Shane: I love what you said there because when we started out, people around here barely didn’t even know what the Internet was, let alone that you can make your living on it. Until we got out and started hanging out with other people who were trying to be entrepreneurs, who are trying to live a different life, we realized that there was more to life than what you’ve been told it is your whole life. That’s when we really took it to the next level. We really appreciate you saying that, but Kudos to you too for just taking a risk and going after it. Jocelyn: If you want to hear the podcast that Debi is referring to, we’ll put those links in today’s shownotes. Shane: Yeah. We did a five-part series where we literally told our story from birth until we actually quit our jobs. But we wanted to get that out there for this exact reason because I think some people just think, “Oh, start an online business. Too complicated, can’t do it.” And then they hear someone’s story of, “Well, we were just parents. We were school teachers. We didn’t know about it either when we found out about it, but we went after it and now you’re going after it, and it just inspires other people to keep going to. Jocelyn: You’ve listened to our podcast, you had sort of an Aha moment and said, “Okay, there is something that I can maybe do online.” So tell us a little bit about that. Debi: What I decided to do, because I have a long history with… which I’m not going to go into it. But I had several years — I was mentally abused and so I’ve been doing a lot of professional development, changing my thoughts about myself, shifting my words, shifting my beliefs and so ideally I kept looking for a way to help women in some fashion who sort of felt about themselves like I did. And for me to survive that situation, I chose alcohol to be my best friend. I had this long relationship, and she was my best friend for like 20 years until she didn’t actually work out anymore. And then for 10 years, I struggled with trying to figure out a way to change that relationship I had with alcohol. So then I have now taken, and I’ve found my own method, because I didn’t feel comfortable standing up and saying I was powerless, traditional. I’m not dissing the AA method or anything, but it just wasn’t going to resonate with me, so it wasn’t working. I took all my skills I’d been learning and my understanding about your beliefs about yourself with your words and all that stuff, and I did that journey for myself. 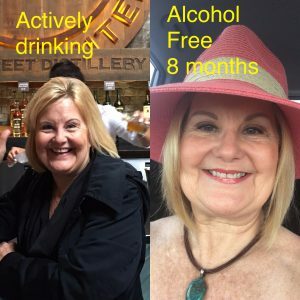 Now, what I’ve done is I’ve put it together and I work with women who are wondering about their excessive drinking and I teach him how to live life differently. Right now I have a podcast and then I’m in the process, which is where I want you guys’ help with, but I’m in the process of putting together a seven-week self-coached online video course. I want you guys’ help with making sure that launches, and how to launch it in that kind of stuff. Shane: That is an incredible business and goal. We never know what people are going to say when I joined the community, when we say, “Hey, what’s your online business?” It’s awesome hearing these things. This is an epic idea that people really need. We had someone come into the community recently and they’re helping families of people, who were married before and have kids in other marriages blend their families. These are generational life-changing businesses, and it’s just awesome to hear you putting yourself out there and helping these other women. I love what you said, too, about the AA method didn’t work for you because that’s something that we have look at in the last couple of years, is how not everything works for everybody, and that’s where niches come from. The way we do online business where we sell digital products and memberships might not work for someone else who wants to write blog posts, do SEO, and get affiliate ads on the side. Everyone is so different and that’s why everybody has a chance to succeed online. Jocelyn: And I love how you went from having no idea what you might do, to coming up with this life-changing business for other people. I think sometimes we underestimate what we’re able to do and how we’re able to influence other people. So I love how you’re going down this road and I’m really excited to see how we can help you to move it forward even more. But before we go there, let’s talk about your biggest fear. So what’s something, before you got started maybe, that you had to overcome to get to where you are today? Shane: Or it might be something you’re struggling with right now? Because this is kind of the beginning of your journey, getting ready to do the product, getting ready to do your launch. What are you afraid of right now? What confidence, issues, mindset struggles are maybe wrestling with, even right now as we go forward in your online journey? Debi: Actually, it’s my voice because for years prior to the marriage I had, I do have a unique voice. As a child, I was made fun of for my voice. I think my natural thing is to be introvert anyway, but I slowly became even more introverted, not wanting to ask questions, not sharing my ideas, just reverting into myself. Then through the emotional kind of abuse I went through, my voice got even quieter. Jocelyn: Some people probably don’t, and you know, that’s okay. I think that you just have to learn to be okay with that. There’s probably going to be people who are like, “Yeah, I don’t like your voice, or I don’t like your message,” or whatever, and we just have to be okay with that. It doesn’t matter who you are. You could be, in your mind, the most perfect version of yourself that you could be in, and there’s still going to be somebody out there who for whatever reason doesn’t like it. So you’re going to get the exact same thing. People are going to love your voice. They’re going to love what you’re doing, and they’re going to relate to you because you’re real. There’s actually a cool technique to get through this kind of fear. It’s called getting permissions for style. This is something I learned from a guy who was teaching actually how to do live presentations. The reason we did that was a strategic decision. It wasn’t just because we say y’all a lot, which we do, but like we said, “Hey, we need to tell people, within the first two seconds you’re about to listen to two southern people talk. And if you don’t like it, you might as well turn back now.” So we actually strategically put that there because if you keep going after that, “Hey y’all,” you know what you’re getting into, you’ve given us permission to talk funny, right? Debi: Oh, I like that idea! Shane: You see that? You can do this at the beginning of any of your content, you can just call it out and be like, “What’s up, y’all! We’re a couple southern kids, we’re going to talk to y’all–,” you know, whatever. Or you can say, “Hey y’all, blah blah blah.” You can do whatever you want or just almost magnify what you’re afraid of. And if people keep going, they’ve given you permission to be just the way you are. And if they don’t like it, they can leave. That’s fine, too. Right? That was actually a strategic decision to attack our accents within the first two seconds of every single podcast that we’ve ever been. Jocelyn: Then we have a crazy country music songs playing. Shane: Yeah. 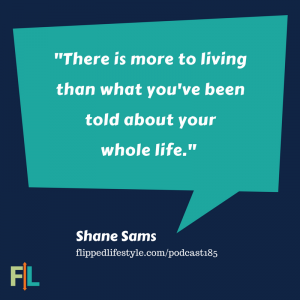 When we were looking for the theme song to Flipped Lifestyle, we were listening to stuff and we were listening to all that inspirational business, motivational music. And I looked over at Jocelyn and I said, “This is stupid,” and I popped in country music. We actually found an artist. Shane: Well, that’s it right there. That sounds like something’s going to be on CMT, you know what I mean? So we basically ask for permission to be ourselves in the first minute or two of our podcast. So when you keep going, you’re good. And I think that you could do the same thing. Debi: Yes, I like that idea! I wrote that down. Jocelyn: All right. Let’s move into the outside influences or obstacles that you have faced to start your journey. These are things like maybe technology, time, maybe people, issues… What external factors are you dealing with when it comes to your online business? Debi: For me, besides the insecurity kind of thing that pops up every once in a while, it’s really myself in staying consistent and with the times. Like I said earlier, my schedule is very different. I don’t work every Monday through Friday or every Tuesday, Wednesday, Thursday. So for me, the struggle and the challenge has been around following a consistent pattern and process, it took me a little while to figure that out. And sometimes I still struggle with that part. It’s really being consistent and following a process and a routine and a schedule. That is one of the reasons why I joined your community. Jocelyn: That’s awesome! And you know, that’s something that a lot of people struggle with. We still struggle with that at times. Even though we have pretty much complete freedom now to do whatever we want whenever we want to do it, it really does take an effort and you have to really concentrate on it to make it work. Shane: There’s always outside influences, even on our time because you know, when we sign our kids up for cheerleading or we sign our kids up for basketball or whatever, we’ve all of a sudden now forced ourselves that we don’t get that time and we have to bend around that almost. 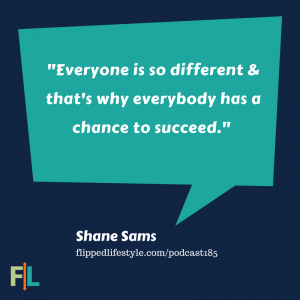 Shane: I’ve got a good friend who’s actually in the Flip Your Life community. He is a member of a major sports organization, and they have to travel ALL THE TIME and like same thing. He could be Evansville, Indiana one week and he could be in Colombia, South America next week. Debi: Great. Just like me! Shane: Exactly! What we actually talked about a lot was, hey, Jocelyn and I and our courses and things, we’ve talk about that 168 hours, your week. For some people, if your schedule’s that random, you’ve got to change and bend and say, “Hey, I’ve got a 48-hour window. I only know where I’m going to be 72 hours ahead of time.” Well, you’ve got to sharpen your axe before you cut down the tree. So maybe you have to plan your next 72 hours, every 72 hours. You found a way to do that. Then you have to get some accountability to kind of hold you accountable and say, “Hey, did you do that? Are you going forward? What’s your action plan? How are we going to get it done? You know, where are you going next? How much hotel time are you going to have? 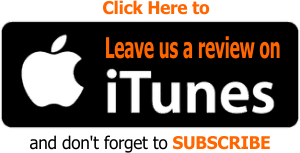 Do you have a few minutes on the plane to listen to a podcast,” or whatever. You know what I mean? Maybe if it’s a long flight. Very interesting how we all have so many different time things pressing on us. We really all do have to make our own plans with some guidelines, and then get some accountability to help hold us to it. Debi: Right, I agree with you a hundred percent. That’s part of why I love that you guys have put together the community, because most of the time for most people who are trying to make a change like this, you don’t hang around with people that are trying to make those kinds of changes. By participating and being part of it, even ideas come to me like, because you said listen to the podcast on the plane, but technically I’m working. I’m not sitting in the chair like you’re sitting on a chair. Shane: I’m was talking about one of those international flights. We were on a 14-hour flight one time and I noticed that the flight attendant’s like kind of working a shift. I wasn’t talking about the uh, the hour commute to Chicago or anything. Shane and Jocelyn: We are not encouraging you to skip work or listen to our podcast during work hours. Debi: Work hours, that’s good. Even though we have our own ways of sneaking in our own personal past times. But anyway… I’m sorry. Jocelyn: I have no idea what you’re talking about. Jocelyn: We do not listen to that. Let’s start talking about how we can help you get to the next level and Flip Your Life. What is the biggest question you have right now in your online business? Debi: Well, I just launched actually yesterday, my own podcast. I had been doing a group one with somebody and I launched my own podcast. Debi: Thank you, thank you! What I want to do next is actually launch a seven-week, online self-coaching, like digital course program. Shane: Is it created already? You said you have not created this yet, right? Debi: I figured I would allow the messages I get from the podcast, and the communication I get through that route to help me with the creating part. I have like an outline theme for it, like what I want to talk about in week one, what I want to do, but I don’t have it. Other than that, no, I don’t have that created. Shane: Tell us about your social media presence. You said you’ve been blogging for a while. Do you have an audience, do you have an email list, are you getting traffic and also about that other podcast you were on, would they be open to helping you announce that this is available or something like that? What’s your audience look like right now? Debi: it is very small. 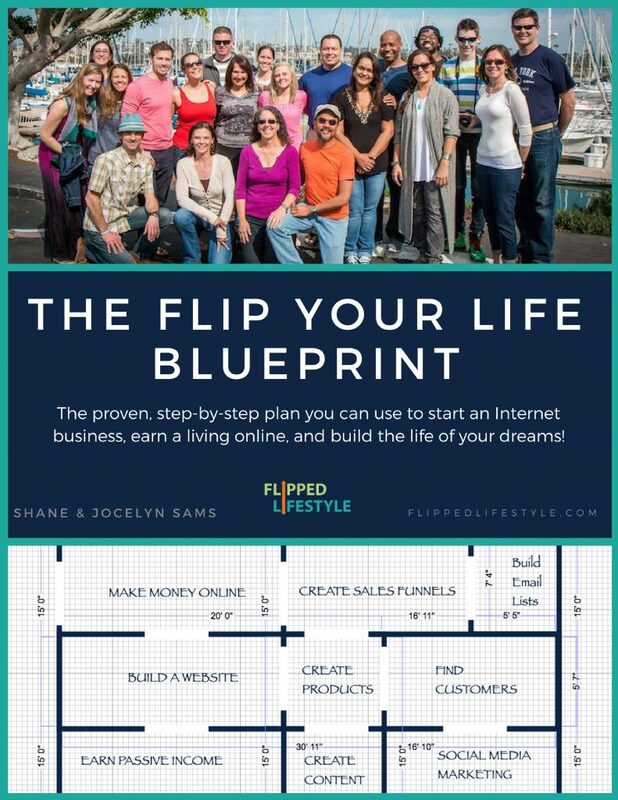 Actually, when I first joined Flipped Lifestyle, even with all this stuff I had been doing all along, I think I had 15 people on my email list. Since joining actually have doubled it. (Initially) It took me like nine months to get my 15 people. Shane: Let’s double it again every month, right, and totally go forward. Jocelyn: No, that’s a great success story. Shane: Right, you’ve got 30 people on your email, that’s amazing. You know. Debi: Actually, yesterday when the podcast launched, I did actually get five new people yesterday. I’m very happy about that. I do have an audience, and I know you guys have kids in whatever, so I’m not making it like an excuse. Being on several social media for me isn’t going to pan out or play out, because then I don’t feel like I could be consistent on being on several social media platforms. We have chosen to work with and utilize Instagram instead of Facebook. Now the reason I’m not on Facebook, even though I know Facebook owns Instagram, is they have actually banned me from advertising because I used the word alcohol in my content. Shane: I think that there are some ways around that though. You know what I mean? We could probably work on some of that. We’ve had people do things with guns, but it’s really just home protection or whatever, gun safes and things like that. There are ways around those things to not talk about the thing they’re banning. Jocelyn: I do like how you’re only focusing on one thing. I think that’s really wise that you understand that you do have a limited amount of time, and that you’re probably only going to be able to do one thing. I think that is amazing, so that is great. As far as your product, I think a lot of times people think that they have to have something completely finished to launch it. We’ve talked about this a lot of times on the podcast, you really don’t need to have something completely done. Shane: Have you ever heard the quote from Henry Ford where he said, “If I asked my customers what they wanted, they would have told me they wanted a faster horse.” But he invented the car, the Model-T, and he created this car. You do want to get feedback as you go, but as the leader of the movement that you’re trying to make, these women that are trying to drink less, sometimes you’ve got to set the path and then we adjust as we go. We don’t wait for all the feedback before we create the thing. It’s going to evolve and it’s going to change, but I think the best thing for you to do is to do what we did. Create the first module, so whenever anybody signs up, they’re ready to take it, okay. But let’s do a Beta group. Create a sales page, put the outline, be really open and honest and say, “Hey, this is the exact process that I used, but I’m going to modify it with your feedback, but you’ve got to be in the Beta group to give me feedback.” I’d be willing to bet you would get one or two people on that thirty-person list to take you up on this, and offer them this for sale. You tell your story about how this helped you, and how you believe it can help them, and let people go ahead and give you money for it. Listen, if you put this out there and you say, “This is for sale!” and someone gives you money, you’re going to be really motivated to find every minute of time you can in that hotel room to get this thing done. Jocelyn: Yeah, it’s amazing what you can do when you have people waiting for it. Right? Debi: Exactly. That’s how I finished up everything. Right on schedule, but you’re right. That’s exactly what happened. Shane: See, it sounds so simple, but it’s not. In your mind, imagine what the course looks like and then put it down on the outline, and start selling it right now. Then the other ones will say like, “Coming soon, coming soon, coming soon.” Make it a thing. This starts March 1st, this ends seven weeks later you got to get in before March first. We start March first,” whatever, and then you’ve got the first module ready. On March first, they get to take it. Then every week after that, you’ve given yourself a week to get the next thing done. It’s not going to be perfect, some of it might be a little thrown together and some of it, you may have to even do live in counselling sessions to get it done, but you’re going to force yourself to make some money and get through that first seven weeks, and now you can refine what you’ve created with three to five other women that are there helping so that the next one is even better. Debi: Okay, I like that idea. I already have the Coming Soon page. I already have that because I’m doing all my stuff on Kajabi. Shane: Perfect. Kajabi is a great platform. Debi: I already have all that together, so now all I have to do is actually, literally do the first module and then I can announce, join whatever. Okay, perfect. Jocelyn: I think you’re doing great. Don’t look back, keep moving forward. Keep taking those baby steps. Keep looking into the community for accountability, and I know this is going to be super successful. Shane: This is going to really push you to get this done and not think about the course so much. It’s just going to make you finish it. I don’t care if you’ve got a Facebook group with 25 people. It doesn’t matter if you’ve got an email list with 30 people. It doesn’t matter if a hundred people are listening to your podcasts every week. You’ve got humans paying attention to you, you’ve got people you have somehow drawn in and you were talking to them about a problem they actually have that you can solve. Go try to solve it for them and ask for money for it. Don’t set a goal, “I’m going to have an audience of 500 people before I launch.” We really encourage people, launch as fast as possible. If you’ve got 20 people paying attention to you, ask them to buy. What if one of them does, and then you work one on one with them to create the best course ever, and then the next time you get a hundred people? You get that testimonial that’s going to convince people you’re an expert and it’s going to convince people that you have that solution. Now, you’ve got your story and one testimonial. And then what if next time you’ve got five people? Anytime you’ve got people, go ahead, attack, launch, and you’re good to go. Debi: You’re right, I was going to wait until 500. Jocelyn: Alright, Debi, we’re just about out of time for today. But before we go, we want to know what is the one thing that you plan to take action based on what we talked about here today in the next day or so. Debi: Alright, what I’m going to be doing because I actually have vacation in February. Debi: I am creating the first week’s module, and I’m going to launch this in March 1st instead of April 1st like I planned, than wait for my 500 people. Shane: Nice. I love it, I love it when people are spurred into action! That might feel a little uncomfortable, but you gotta do it now because you said it. A lot of people are going to hear you say that now. You’ve got to follow through. Jocelyn: You can do it, Debi, we believe in you! Shane: Make sure you head to the Action Plan Forum. Go ahead and post that today so that not only me and Jocelyn can hold you accountable, but the entire community can go around. Thank you so much for sharing your story. It’s super inspirational. It’s just awesome hearing all the things that you’re doing. We have such a wide variety of people in the Flip Your Life community. It’s so diverse. We have people all the way from the twenties through their sixties, and everywhere in between and we’re all just trying to carve out our little part of the Internet to make money online to flip our lives and do what we want to do. So thank you so much for sharing today, Debi! Debi: Thank you, guys! I really appreciate the help! Shane: Alright. This week’s Can’t Miss Moment is playing, “Don’t Step In It” one afternoon with our kids. For those of you who do not have small kids, maybe under the age of 10, everything related to bodily fluids or functions is absolutely hilarious to kids. Especially poo. Alright, so I was in the store the other day and I was looking for a board game with the kids. Sometimes when I’m at Walmart or something, I’ll just go to the game aisle and grab a new game. We’ll bring it home and we’ll go play it. There’s an awesome picture of Jocelyn doing this game over at the show notes for this episode, so check that out. But it was just such a fun time just playing this crazy game with the kids. This was happening and like probably about 3:30 to 5, one evening before dinner. I was just so thankful when we were playing this game that we had those afternoons together and that we could not be stressed out and not be tired from work. 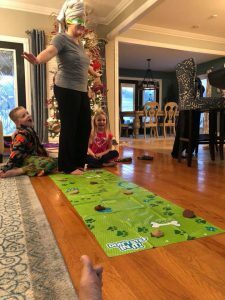 We could focus on playing an awesome game with our kids, spending time together as a family and just doing something before dinner instead of rolling in from work at 6:00, and just rushing to the table or going into the chair and just not doing anything. So I’m always thankful when we’re playing board games with the kids. I absolutely love playing games with our kids. It’s kind of how our family spent some time together. 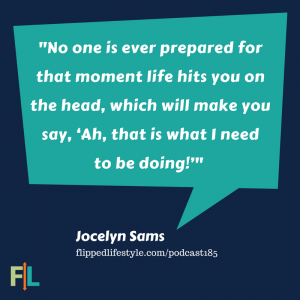 We love to share our Can’t Miss Moments with you each week on the Flipped Lifestyle podcast. But there’s one thing we love to share even more, and that is a Success Story from our Flip Your Life community. So before we go, we wanted to share an actual success story from the success forums in the Flip Your Life membership. 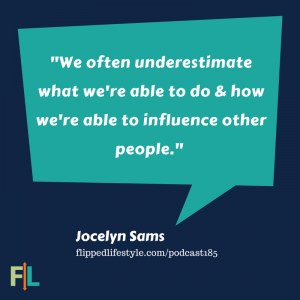 Jocelyn: Today’s success story is from Flip Your Life member, Kenneth. Kenneth just did something that we talk about all the time. I love it when people listen to us, it makes me happy. Shane: I know, it’s amazing. Good things happen when you listen to S&J. Jocelyn: Kenneth validated his idea through pre-selling. If you’ve listened to the show very often, you know that we tell people to do this all the time. He says that not only did he validate the idea through pre-selling, he did it quickly, easily and cheaply. Shane: Before we go today, we’d like to close every show with a verse from the Bible. Guys don’t get caught up in what the world says is right. Don’t get caught up in what the world says to do. Don’t get caught up in constantly chasing more and more and more money. Your life is built out of Can’t Miss Moments. Your life is built out of the relationships that you have with other people, and it’s built by the way you serve others through your online business. So keep everything in perspective while you’re building your online dreams. While you’re flipping your life, while you’re living that Flipped Lifestyle. Build the life that you want, that lets you have those Can’t Miss Moments. That is how you find true contentment and true happiness in your life, not by becoming the next Internet billionaire or gazillionaire, not by becoming some bitcoin investor that thinks he’s making hundreds of millions of dollars and getting rich quick. It’s about building a business and building a life that you want to live, and that lets you be a blessing for other people. That’s all the time we have for this week. As always, guys, thanks for listening to the Flipped Lifestyle podcast. And until next time, get out there, take action, do whatever it takes to Flip Your Life. We’ll see you then!